Dates of the Ilicitano field, collected and matured in Elche, a delicacy that comes from our city with its palm grove World Heritage. Dates of Elche There are 2 products. 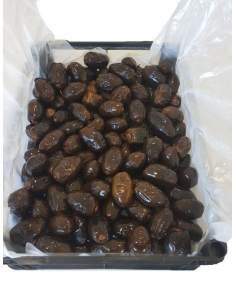 Fresh dates of Elche superior quality fat Medjoul container 1000 g.
Fresh dates of Elche superior quality fat Medjoul container 4000 g.